The Metropolitan collection combines a teak wood look with a classic wicker design in deep seating, sectional and dining options. The hand-applied teak finish give the appearance of wood while resisting fading due to weathering. The all-weather synthetic wicker and aluminum table tops and frames are engirenered with the highest quality standard. The open-weave design on the dining chairs adds an extra level of sophistication to this collection. 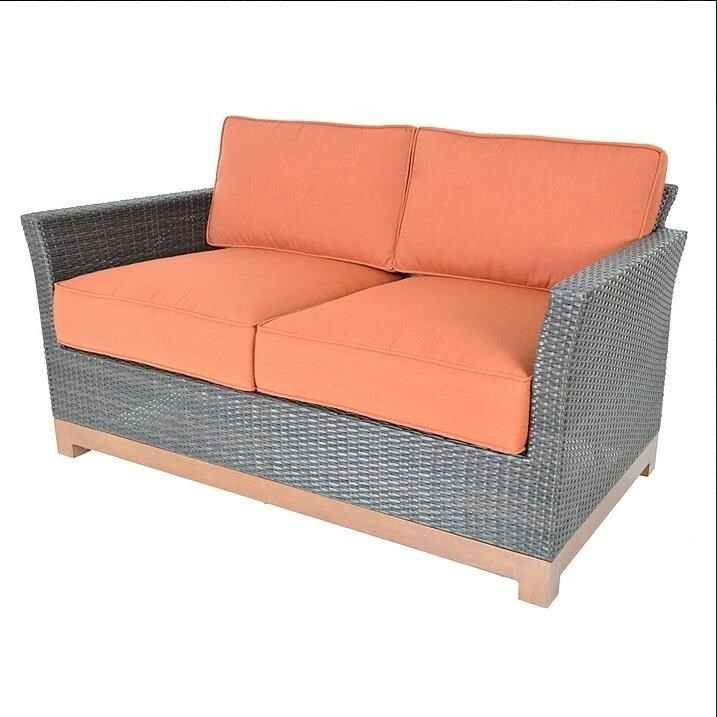 Cushions are covered with all-weather, easy to clean & fade resistant fabric. The Metropolitan collection harmonizes well with outdoor surrounding while being comfortable and modern all at once. The Metro LOVESEAT by Veranda Classics by Foremost from Boulevard Home Furnishings. We proudly serve the St. George, Cedar City, Hurricane, Utah, Mesquite, Nevada area. Product availability may vary. Contact us for the most current availability on this product.